To kick our Pink Afternoon Tea off, we quaffed on a Pinkster G+T. 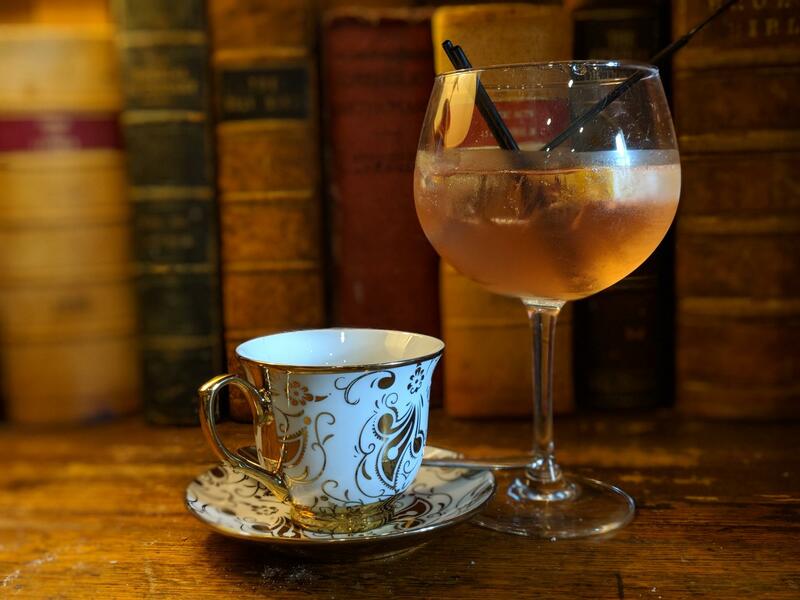 The Pink in Pinkster is from Raspberries which combine with the gin botanicals and Fever-Tree tonic to cut through the sweetness of the top tier fancies – which also just happen to be Gin themed! Fresh finger sandwiches (egg, salmon, ham + cucumber – dietary requirements catered for) started our Afternoon Tea and to be honest, I think I prefer the savoury plate the most! The scones are freshly baked and toasty warm. Lashed with thick clotted cream and homemade jam, we made this plate last the longest. I think it’s the most quintessentially British thing to indulge in good conversation over a pot of tea and a warm scone and what finer setting than the oak panelled Library. The star in the crown of the Matfen Hall Pink Afternoon Tea? The gin themed plate of cake and patisseries. 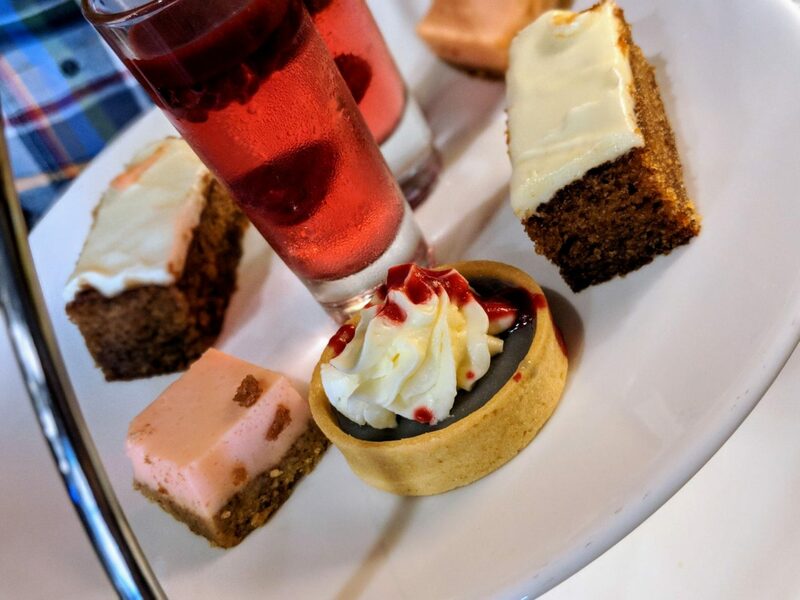 We were spoiled for choice with raspberry gin jelly, rhubarb and ginger gin cake, sloe gin and white chocolate tart and pink gin and raspberry cheesecake. We definitely preferred the sharp tangy jelly with the definite gin punch and the white chocolate tart that was tinted a purple hue thanks to the sloe berries. In fact if we could just have a plate sized version of that chocolate tart that would be damn fine by us! Service was incredibly attentive and exemplary during our Afternoon Tea but did sadly drop right off as soon as we finished until we gave up on those extra drinks and just found our own way out. 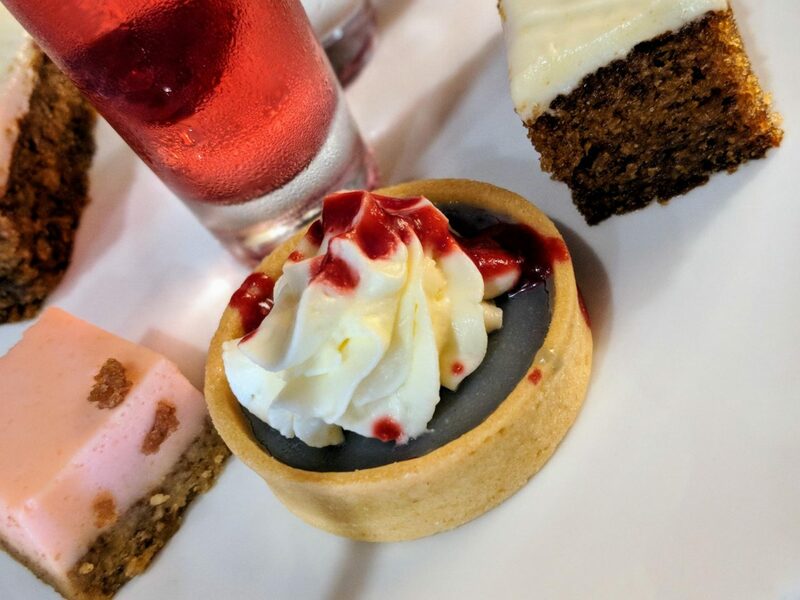 For the £20 per person, we found this to be a very generous Afternoon Tea and we couldn’t manage to complete the top tier, which is quite unheard of! If you book up, request the Library Room for that extra special touch. 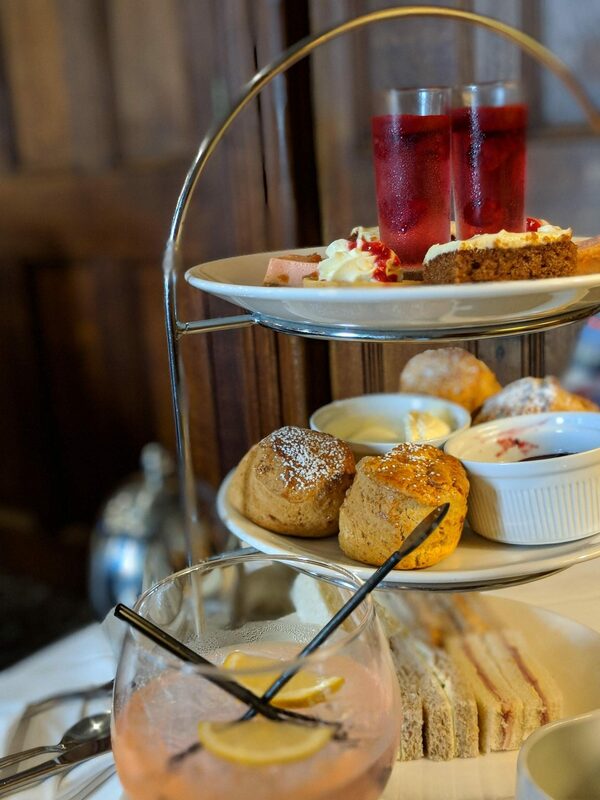 The Pink Afternoon Tea is available every day until 31st August 2018. Other Afternoon Tea’s are available. It was so tasty. It was definitely the most filling Afternoon Tea I’ve ever had!